Note: Actual live implementation may still change/vary as it will be based on a website's updated design. A large format in prime real estate. This ad format can be located at the top most part of a site's homepage. It will be the first format that will be seen when the page is initially loaded. A horizontal banner which is located below the navigation bar of any website. This format is located at the right side of a webpage. A medium sized format which can be located on the right side of a page. Can also be referred to with the same description as the standard billboard. The only difference with this format is its ability to showcase video files. A format which will be made visible once a user clicks on a particular section of a website. When user clicks on their desired section, an ad will first come out before they are led to the specified section. Originating from a medium sized format, this format showcases more visibility by expanding to a larger scaled format. A format which utilizes the premiumness of a site's homepage flashbox. Upon click from a standard mrec or button, the site's homepage flashbox will collapse to reveal an ad's "big reveal". Originating from a medium sized format, this format will expand to reveal a larger scaled format which can carry several tabs/pages, similar to a microsite. One of the very few slightly intrusive ad that we offer. We only offer this ad on a very limited duration. The ad will come out once the homepage of a site is loaded on a site's screen. After its animation, it will land to a button ad format. Originating from a standard mrec, the format can expand horizontally to reveal a larger scaled format. This format converts an expandable banner into a panel that opens to the side of the publisher page for an unlimited ad experience. Enabling a background dimmer on expansion and social features to facilitate sharing, this format enhances both video impact and reach. By dimming the web page surrounding the ad, this format enables advertisers to enhance engagement and direct the user's attention to the ad. A horizontal banner which can be located at a "locked" position at the bottom of a webpage. When a standard ad strip is clicked, it will expand downwards, pushing down all content below it as well. Vertical ad placement seen on the left and right side of the page. An Interactive version of the standard catfish ad where athe expanded panel can reveal more information - video, content etc. Standard banner ad for mobile. Standard banner ad but remains at the bottom of the screen even if user scrolls down the content. Ad appears before the site/mobile site loads. Originating from a standard catfish ad, the format can expand vertically to reveal a larger area for more content for the campaign. 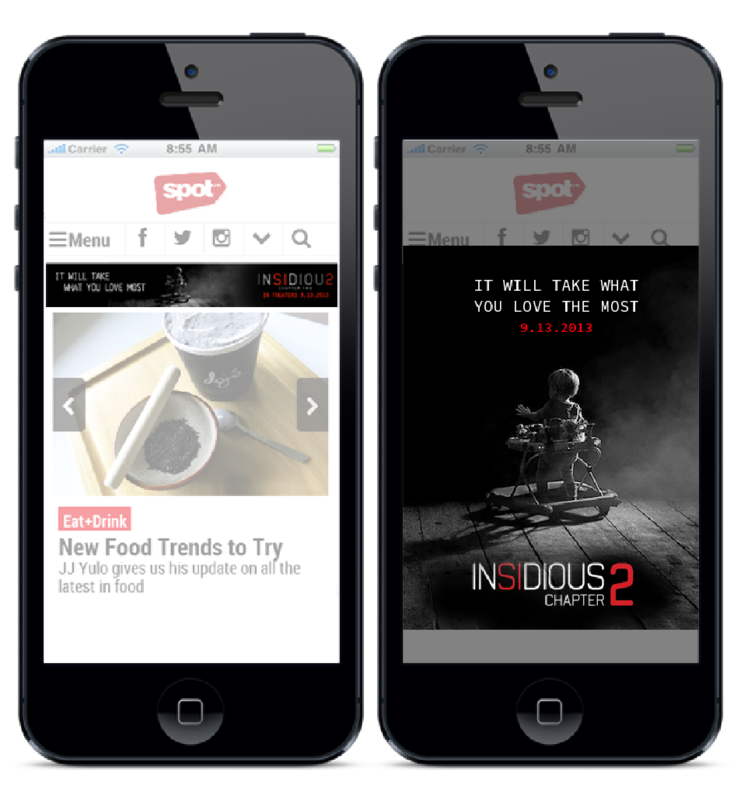 Originating from a standard mobile ad, the format can expand vertically to reveal a larger area for more content for the campaign. 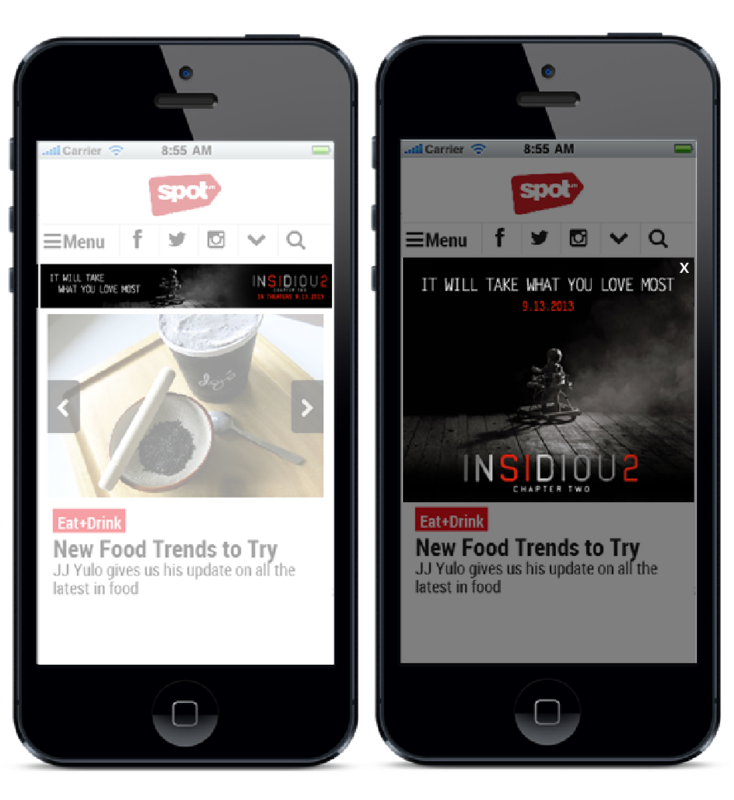 Native Advertising is a more subtle form of online advertising. It is a type of advertising that takes the form of an available content in a site or in a platform. This could be mainly used for advertising objectives that aim to constructively communicate or connect with their target audience through engaging content. An online quiz which features specific products or information about a brand. Online content developed to gather consumer insight and generate potential consumer leads through registration. Custom Section / Microsite for Campaigns that have Promos, Product launch etc. This is best used for campaigns which need to convey more information about the product, which cannot be delivered through the use of a display ad product alone or standard web articles. Pre-Roll Videos (max of 15 secs only) which will be loaded into Summit Digital produced videos. A brand can showcase its different product/ services by collating it into one interactive page in the website. Web articles in list format and can discuss a wide range of topics. Licsticles can include either photos or videos. Web articles with a photo gallery to showcase new products, travel destinations etc. Standard web article with 1 or 2 photos which follows the style of an editorial piece. Summit Media is the leading magazine publisher in the Philippines with more than 20 titles under its umbrella. Aside from magazines, we are in digital media, outside-of-home media, mobile marketing services, book publishing, and consumer events. We offer a wide variety of ad products you can choose from. Whether it is a massive display media ad campaign or a campaign which needs to utitlize a more customized or native approach, we have the solution for you. We share the same vision with you—to ensure that we focus our efforts in delivering a targeted and consistent message to all our readers. Let us share our expertise of knowing where to drive and how to create content that can impact people's lives. © 2018 Summit Media. All Rights Reserved. Reproduction of material from summitmedia.com.ph without written permission is prohibited. Robinsons Pioneer Complex Pioneer St.